The Member of Parliament for Tamale North Constituency, Alhassan Suhuyini, has cast doubts on the Akuffo Addo’s led administration to prosecute corrupt officers in 2018. Citing the alleged act of plagiarism in his inaugural speech, on January 7, 2017, Member of Parliament said the president was guilty of corruption and lacks the moral grounds to prosecute corrupt public officers. Alhassan Suhuyini, also noted that, the haste in which some appointees in his government, implicated for various corrupt practices, demonstrates his unwillingness to rid the country of the practice. President Akuffo Addo has served has one again emphasized his commitment to uproot corrupt public officials, most especially his appointees, in the coming year, despite several failed promises. But speaking to Diamond news in an interview shortly after commissioning handing over a renovated health facility to management of the Choggu health center, the Tamale North Lawmaker, described the governing New Patriotic Party (NPP) led by President Akuffo Addo as ‘speakers’ rather than ‘doers’. ‘If you have a president who starts his presidency on the note of theft, what else can’t be stolen? To have a president who starts a presidency on the note of stealing speech to read on his inauguration, what else cannot be stolen?”, he quizzed. He accused the president of the republic, Nana Akuffo Addo of covering up corrupt appointees in his government. ‘So it is not surprised that you would have his deputy chiefs of staff accused of stealing. You would have his ministers accused of stealing. You would have his party officials accusing each other of stealing. And he would see none of it”. In expressing doubts, he said “because he himself stole a speech to read. He stole speeches from two (2) American presidents and one Nigerian president to read. And when he was caught all he said was ‘I am sorry’… BOST saga, cleared. “He clears people who charge expatriates to sit with him. I am not hopeful that 2018 is going to be any different”. He urged Ghanaian’s to remain prayerful, for that is the only way to turn the fortunes of the country around. 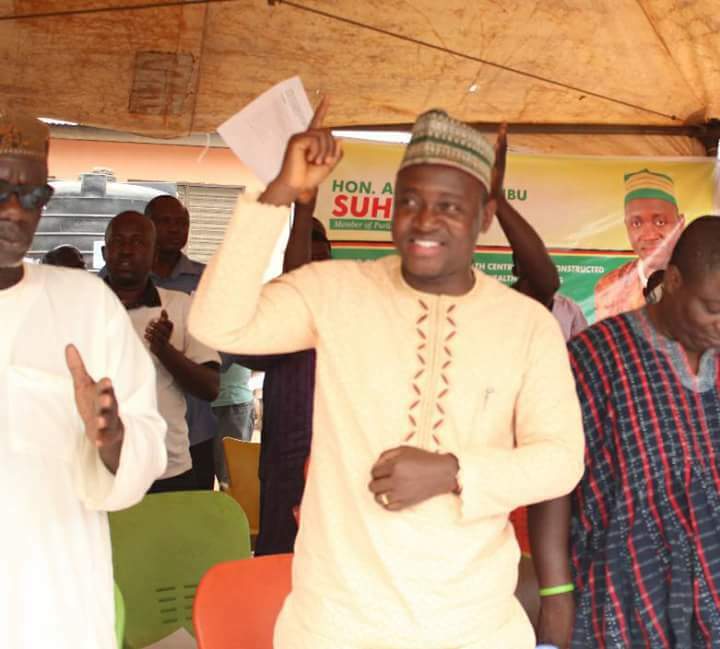 Alhassan Suhuyini, encouraged supporters of the NDC, not to be discouraged by its heaviest defeat in the 2016 elections, but rather should actively take part in the party’s activities, to recapture the seat from the ruling New Patriotic Party(NPP).